NO ICETIME Sunday December 9th. . . . Winter ice - Sundays from 7:00am-8:30am . . .Check schedule For Upcoming Events . . .
WANT TO TRY SPEEDSKATING? CLICK HERE ! BROOKE QUALIFIES FOR 2018 NATIONALS! 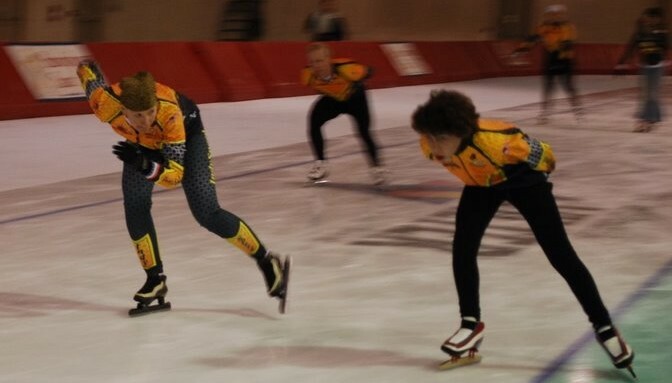 KATIE CRAWFORD NAMED TO 2013 SO WORLD WINTER GAMES TEAM! RANDY HURT WINS 3 MEDALS AT WORLD WINTER GAMES! Download video of Randy's 3rd race, here(right mouse click, then "Save Target as.."). or Download the video here(right mouse click, then "Save Target as..").